Kendall Toyota of Bend’s auto financing department has strong relationships with many accredited area lenders and is committed to finding the perfect car financing company to suit your car finance needs. Our Finance Department is staffed by caring and experienced auto finance professionals that work hard to secure the right car loan in Bend, used auto financing, or Toyota lease for your personal budget while providing excellent and personalized customer service on a daily basis. We love seeing our customers drive away confident and comfortable in a Bend car from their local Bend Toyota dealership. Visit us in person and we’ll get the process started so you can easily obtain approved car financing! Our dealership is located at 61430 S Highway 97 in Bend, OR 97702. We also serve the communities of Redmond, Prineville, and Madras, OR! Low-interest car loans are available for customers with existing loans. We can help you refinance your car loan or adjust the term of your current contract so you can breathe again. If you’re interested in trading in your current vehicle for a new or pre-owned Toyota, we can do that too! Fill out our convenient trade-in value application online and find out the true market value of your current used vehicle. You will also be given the opportunity for a no-obligation car appraisal by one of Kendall’s appraisal experts. This will provide you with enough information to make an informed decision. Begin your steps to approved auto financing by browsing our new Toyota dealership inventory and our extensive inventory of used cars in Bend. If you have trouble finding what you’re looking for or have any questions, please don’t hesitate to contact us by phone or online. Then, try out our online car loan calculator to get an estimate of your future car loan payment. Next, take a few minutes to fill out our car finance application and then you’re on your way to a car loan in Bend! Thank you for stopping by our Toyota Finance Department here at Kendall Toyota of Bend. We hope you found the information you need to get started and that you’ll come to see us soon to complete the process. We look forward to working with you and providing you with a hassle-free relaxed environment. 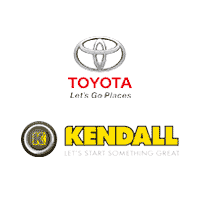 See you soon at Kendall Toyota of Bend, where we make car financing and Toyota leases a reality.